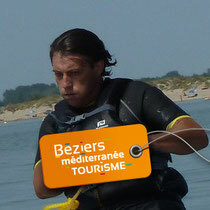 Register for an outing with Jean-Frédéric - Béziers Méditerranée Greeters, un autre tourisme ! Geocaching : plan to be wearing a walking outfit, it would be nice also to have your own GPS or a smartphone with a GPS if you have one. A family activity for all!